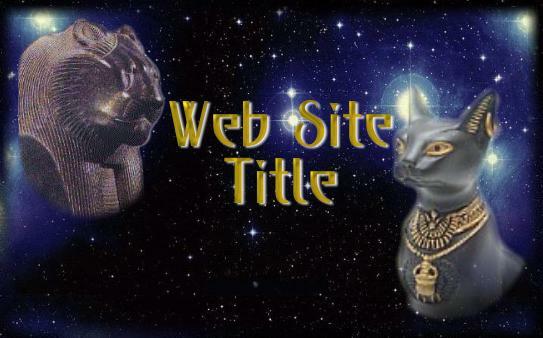 The inspiration for this web set is the Egyptian goddess Bast (also known as, Bastet, Ubast and Pasht). Early statuary and carvings of Bast are often confused with Sekmet (Sekhet, Sehkmet) because Bast in Lower Egypt was depicted as a lion headed female. Later she evolved into a cat headed goddess and finally in the Middle Kingdom was depicted as we most commonly know her today, as a domestic cat. 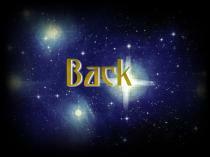 The title graphic above is a sample of how the graphic looks with a web site title. The .zip file has a blank title graphic for you to insert a title on. 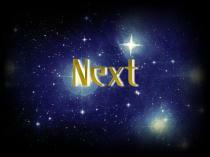 If you do not have a graphic program capable of doing that, e-mail me and I will do it as time allows. The font I used on the sample title and buttons is called "P22 Escher." Below you will find an Egyptian Bast divider, bullets and buttons designed for this web set. 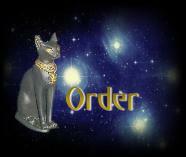 In ancient Egypt the cat was worshipped as a sacred animal - the mother or creator. Bast originally was the creator goddess of Lower Egypt, and was depicted as a woman with a lion's head. She has been dated to at least the Second Dynasty (c. 2890-2686 Before Common Era [B.C.E.]). 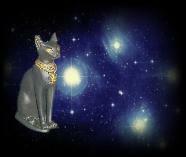 Bast is the Egyptian Goddess and protector of cats, women and children. Her goddess duties changed over the years, so she is also known as a goddess of love, fertility, birth, music and dance. Bast was originally a goddess of the sunrise, but later this was changed by the Greeks to a goddess of the moon. In Greek mythology, Bast is also known as Aelurus. Later scribes sometimes named her Bastet, a variation on Bast consisting of an additional feminine suffix to the one already present, thought to have been added to emphasise pronunciation. Since Bastet would literally mean (female) of the ointment jar, Bast gradually became thought of as the goddess of perfumes, earning the title perfumed protector. This gentler characteristic, of Bast as goddess of perfumes, together with Lower Egypt's loss in the wars between Upper & Lower Egypt, led to a decrease in her ferocity. Thus, by the Middle Kingdom she was generally regarded as a domestic cat rather than a lionness. Occasionally, however, she was depicted holding a lionness mask, which hinted at suppressed ferocity. Due to the severe disaster to the food supply that could be caused by simple vermin such as mice and rats, and their ability to fight and kill snakes, especially cobras, cats in Egypt were revered heavily, sometimes being given golden jewelry to wear, and being allowed to eat from the same plates as their owners. Consequently, as the main cat (rather than lion) deity, Bast was strongly revered as the patron of cats, and thus it was in the temple at Per-Bast that dead (and mummified) cats were brought for burial. Over 300,000 mummified cats were discovered when Bast's temple at Per-Bast was excavated. 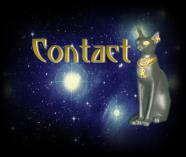 There is some confusion over Bast and Sekhmet. 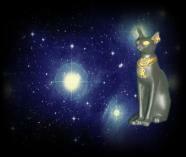 Bast and Sekhmet are not the same goddess (unlike Hathor who becomes Sekhmet as the 'Eye of Ra'). Bast and Sekhmet were another example of Egyptian duality - Sekhmet was a goddess of Upper Egypt, Bast of Lower Egypt (just like the pharaoh was of Upper and/or Lower Egypt)... and they were linked together by geography, not by myth or legend. These two feline goddesses were not related by family, they were both very distinct goddesses in their own rights. To save, you may download the .zip file which includes the egyptian graphics and HTML template. Do not link to the graphics on this page! Please note that this set is free to use on personal websites only. Those sites that hope to generate income (business site) there is a one time requested minimum $10 donation to use this egyptian graphic web set. You may make the donation through Pay Pal (mail donations to mail@kytheraann.com).